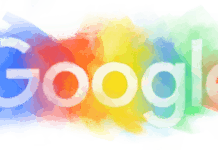 Google Doodles are among the most iconic things about Google. It is the way in which the company likes to express its creativity, as well as pay tribute to various events in history. This is something that is quite refreshing to look at, and gives the users a new reason to interact and engage more with the home page of Google. Google has now introduced Google Doodle notifications, and users can now opt-in to be notified when a new doodle is posted! Google promotes the Google Doodles on various spaces. They also have a Twitter account dedicated for the same. However, for those who might not follow it as regularly, but are interested in knowing every time a new Doodle is put up, the Google Doodle Notifications are quite an exciting means of knowing so. These Google Doodle notifications come via the Google app. The notifications are disabled by default, however, users can head over to the app, and go to the settings. In the setting screen, the ‘Google Assistant‘ settings have an option of Notifications. Tapping this would lead you to the next screen with only one option – Doodles, which is turned off by default. Users can toggle it to turn it on, and then get the Google Doodle notifications every time a new Google Doodle is posted. This settings option seems to be a rather new update, and has appeared in the past few hours. The option to turn the Google Doodle Notifications on or off is available in the Google App v6.9 as well as 6.10. It does not look like this is a limited rollout or a device specific feature, and is expected to reach other versions of the app, and across a large number of smartphones. Do check it out if it is available for your phone too!